Philips Mobile Computing Group's new Nino 500 palmtop PC, priced at $449, offers a backlit color screen, 16M of RAM and a voice-memo feature. Decisions, decisions and more decisions. That's what buyers of handheld PCs face when they go shopping in a market swarming with diverse form factors and prices. Do you look for the shirt-pocket convenience of a sleek palmtop device such as 3Com Corp.'s new Palm V, or opt for the power and versatility of Casio Inc.'s flashy Cassiopeia E-105? Do you go for one of the the new crop of Microsoft Windows CE devices, such as IBM's WorkPad z50 and Hewlett-Packard's Jornada 820, which are smaller, lighter versions of notebook computers? 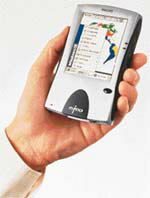 Or do you want something in between'say, NEC America Inc.'s MobilePro 770 or Compaq's C-Series 2010c? The quick answer is that the decision on whether to plunk down $199 or $999 for a handheld PC depends on what you're going to use it for. 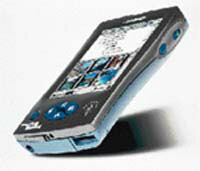 Hitachi America's HPW 200EC handheld PC includes 16M of RAM and incorporates a 33.6-Kbps internal modem. It sells for $699. If all you need is a connected organizer, then a palmtop may do. But if you plan to do extensive messaging, then you might want to consider a handheld with a keypad. Both types of devices are included in the accompanying chart. But as handheld products of all kinds evolve and the market expands'industry watchers expect exponential growth over the next few years'there aren't any simple answers. The latest palmtops are bristling with bells and whistles, which just raises more questions. Do you need a thin-film transistor screen for super-sharp color viewing? How about MPEG Layer-3 stereo sound capability? 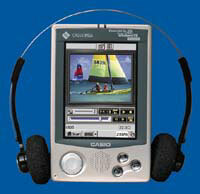 One thing's for sure, handhelds have gained firm footing as genuine extensions of the desktop PC. e-mail from his office PC to his Palm III, reads it during his commute home, then writes short responses using the Palm's Graffiti handwriting-recognition software. The compact Jornada 680 from Hewlett-Packard, priced at $899, has a 6.5-inch screen, 16M of RAM and a built-in 56-Kbps modem. Emerging as a critical application for government use of handhelds is data management and collection. Examples of handheld systems supplanting inefficient, paper-laden processes are appearing in several agencies. The Army, for instance, is using palmtops to help automate its food-management system. At Fort Hood, Texas, cafeteria cashiers use Palm computers with bar code scanners attached to the devices' serial ports. The cashiers scan the soldiers' identification cards bearing their name, service branch, meal-entitlement code, pay grade and Social Security number. The Palm calculates how much each soldier owes for a meal, displays it and stores the data. At the end of the day, the Palm systems are synchronized with a Windows NT server, which uploads the data into an SQL database, returning any updated pricing and menu information. The server then generates a report based on the data. Available with an integrated digital camera, Sharp Electronics' Mobilon HC-4600 handheld PC includes 16M of RAM and an internal modem. It's priced at $699. In Washington, the Navy's Computer and Telecommunications Station is developing applications for Palm devices. In one major pilot, sailors use Palm devices to gather maintenance data on equipment aboard mine ships. And last March, Navy shipyard inspectors for the first time used Palm IIIx computers to check equipment on a ship'the destroyer USS O'Kane'before its maiden voyage. The information was then uploaded into a main database for analysis. 3Com's Palm Computing Inc. still dominates the commercial marketplace, having sold more than 4 million Palm devices since their introduction. 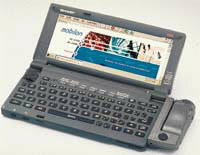 The Cassiopeia E-100 palmtop PC from Casio Inc. runs Windows CE 2.11 and has 16M of RAM and a 16-bit color display. Users enter data via touch screen or stylus. Palm computers also have captured a major slice of the federal market'51 percent in a recent GCN survey. 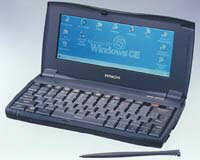 But industry watchers see a battle of handheld operating systems shaping up: the Palm OS vs. Windows CE. Hayden said he believes that 'Palm will continue to dominate this year and most of next year, but the gravy days of Palm' could soon be over. 'If they don't make some radical changes as far as the way the industry is headed, they could have a real uphill battle against Windows CE,' he said. But aggressive moves into the Windows CE arena by key original equipment manufacturers will lead to improvements in the CE system, he added. Compaq, Hewlett-Packard, IBM and Everex Systems Inc. all have introduced in the last year handhelds that run CE. All of this is good news for handheld users, who are increasingly looking for more functionality in their devices and, perhaps more palpably, easier remote access to enterprise data'which means that the days of trying to dial into the network over land lines may be numbered. The buzzword these days is wireless. And by all accounts, handheld users can look forward to a wireless future. Priced at $499, the Freestyle 540 from Everex Systems Inc. has 16M of base memory and comes with a stylus. 'Wireless connectivity will be ubiquitous,' predicted Diana Roberson, director of product marketing for 3Com's wireless and home connectivity division, a new unit designed to capitalize on the growing consumer interest in wireless computing. For handheld buyers, such striking advances in wireless connectivity may mean that the future is now, or at least just over the next rise.